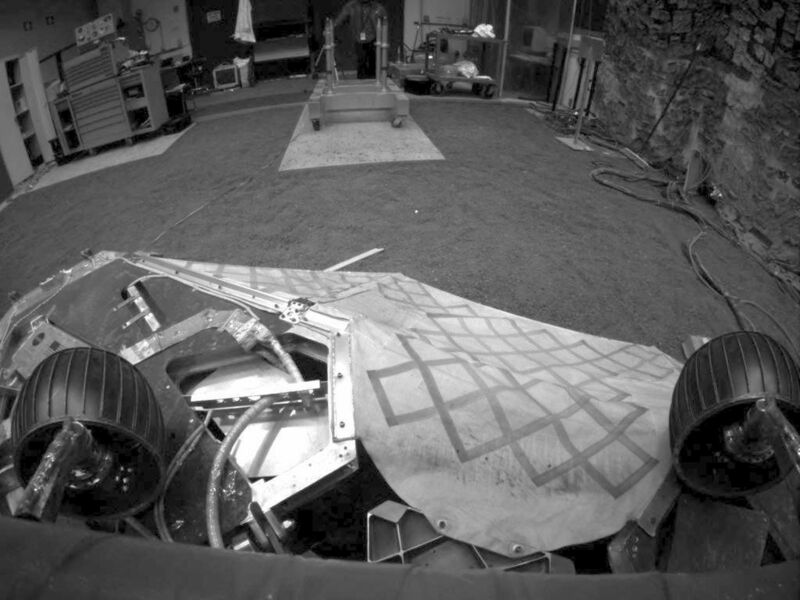 This image shows a test rover in a near-final turned position on the lander in the JPL In-Situ Instruments Laboratory, or "testbed." 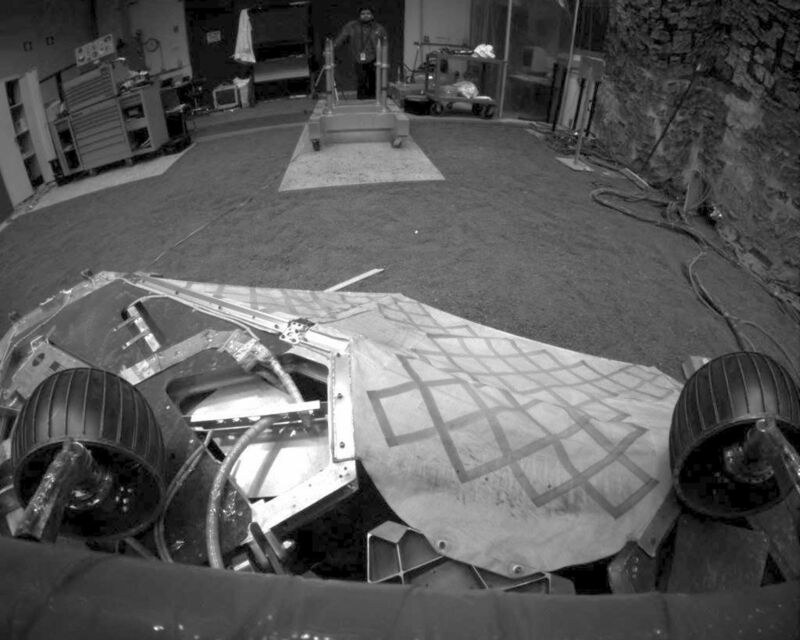 This is where engineers tested the rover's three-point turn before completing the manuever with the Mars Exploration Rover Spirit on Mars. 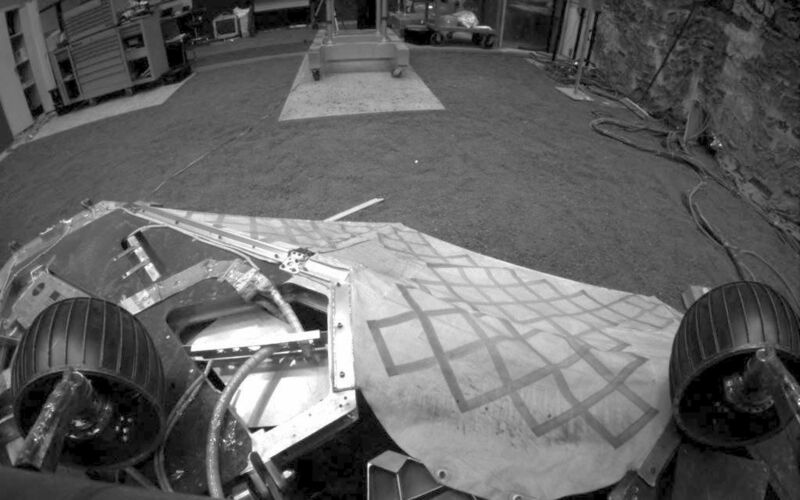 At this point, the test rover has turned 95 degrees, with 115 degrees being its goal position. This picture looks remarkably similar to the image taken by the rover's hazard avoidance camera while in the same position on Mars.